Few things can prepare you for the impossibly pretty sight that is Signagi. After a bumpy 2-hour drive crammed into the back seat of a taxi, the first enchanting glimmer of terracotta rooftops peeking above a lush knot of jungle had us all glued to the window, enthralled smiles wiped across our faces. 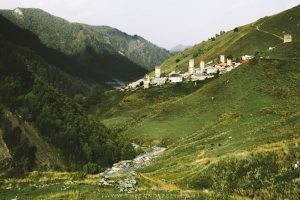 Having spent the previous two weeks in Tbilisi clocking up far too many late nights behind my laptop, eschewing the city’s legendary nightlife in favour of deadlines and painfully boring life admin, Signagi (also written Sighnaghi) was my first wonderful taste of the Georgian countryside. The crisp mountain air was woven with an early autumn chill, a welcome change from the sweltering city heat. The quaint cobbled streets were refreshingly devoid of incessant traffic and blaring horns, with the exception of intermittent quad bikes that roared up the high street. 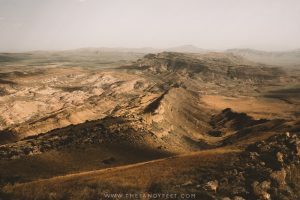 Ancient churches rose high above the sea of rust-coloured rooftops, fortified walls carved the divide between city and forest and the sweeping plains of the Alasani Valley below meant merely strolling around town offered up enchanting views in every direction. With serenity and charm oozing from every street corner, it was immediately clear that this charming city’s moniker, the city of love, was an entirely fitting one. Set in the heart of Georgia’s historic wine region, where grapes have been cultivated for some 8,000 years, there was, of course, another very important reason for venturing out to this adorable little hilltop village – to taste some wine. While I may have arrived not knowing my Saperavi from my Kindzmarauli, I left with a growing obsession for the region’s semi-sweet reds and confirmation that I probably didn’t need to try chacha ever, ever again. If you’ve only got time for one stop in Georgia’s wine region, whether on a day trip from Tbilisi or for a wine-fueled weekend escape, Signagi is an excellent choice! 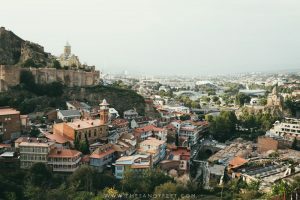 Wrapped around the veritable labyrinth of twisting streets that make up the historic centre of Signagi lie the remnants of the city’s 18th-century fortifications. In fact, as delightfully pretty as Signagi is, it’s not until you scramble along the crumbling city walls, climb the rickety steps of one of its lookout towers and emerge above the treetops to find rolling hills awash with vivid greens and the verdant Alasani Valley that you realise it has just as beautiful a location to match. While you can see the clear lines of these fortifications etched across the hillsides around town, only one section has been restored and is accessible to visitors. To get there, walk up Signagi’s main street and down the hill past Pancho Villa to Hotel Marani. Here you’ll need to follow the small cobbled road peeling off to the right which will lead straight to the city walls. Funnily enough, this very first tower has some of the best views over Signagi and yet most visitors walk straight past it. Of the three times I visited, I never saw anyone else up here, while the tower at the opposite end of the wall is a favourite among eager, selfie-snapping tourists. The best time to visit is in the morning before the tour buses arrive and congest the narrow walkway, or around sunset when the city’s terracotta rooftops are painted a deep shade of Vermillion. Alright, I’ll admit that after almost a year in Europe I was wearing pretty thin on enthusiasm for visiting yet another church and had more or less stopped seeing them altogether, but St Stephans is much more about the rooftop views than the church itself. Since you’re here you may as well poke your head inside for a look, but the best part is climbing the steps to the wide turreted tower above which affords fabulous vistas over the lush surrounds. From Signagi’s central park, take the road to the left and follow the signs to Okro Winery. A short way past it some stairs heading up to the right will lead you to the church where you can climb onto the rooftop and tower. For a slightly different church perspective, you can also step inside the courtyard of St Giorgi, home of the imposing mossy spire that pokes above the maze of amber rooftops and is visible from almost everywhere in town. While I absolutely loved my time in Signagi, I have to admit I was fairly underwhelmed by Bodbe Monastery. But this was likely down to the place being in the midst of heavy restoration and so was mostly off limits and that I just so happened to time my arrival with half a dozen tour buses. That said, the gardens are simply lovely, bursting with fruiting orchards, thick foliage and with the heady scent of roses permeating the air. 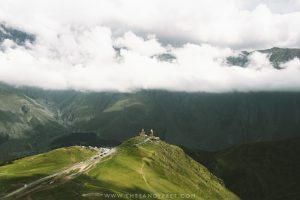 Bodbe Monastery sits about 3km away from the centre of town – about an hour’s walk – where you’ll need to stick to the main road before veering left a short way after the petrol station. Keep an eye out for the excellent views overlooking Signagi along the way. 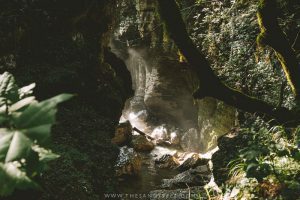 Though I didn’t go here, it’s also possible to visit St Nino’s Springs which lie down a steep trail from the monastery and are a place of pilgrimage for many who delight in splashing themselves with the holy water. Well, you couldn’t possibly set foot in this enchanting little place and not take to its cobbled streets for a wander. While many explore the town by early afternoon light in a slightly bleary-eyed state after a morning wine tasting or two, stopping by the churches, city walls and souvenir stalls boasting brightly coloured woollen socks and hand-woven carpets, it’s well worth stepping away from Signagi’s key sightseeing route as well. Soak up the cobbled side streets lined with fruit trees and vine-draped lamp posts, get lost in the tangle of beautiful and sorely overlooked parts of the city and see the lives being lived in the city of love, away from the tourist trade. When planning my time in Signagi, I had expected that wine would feature fairly heavily, but somewhere between the tranquil cobbled streets, the slow pace of the city seeped into my bones and instead it was slow lunches and hours of sun-drenched wanderings that filled my time here. In fact, between the erratic off-season opening hours of many restaurants and wineries in town, I only managed to squeeze in one proper wine tasting, at the Cradle of Wine Marani, and it was quite possibly one of the best wine experiences I’ve ever had. If you usually consider wine tasting to be a rather rushed, snooty affair that involves a whole lot of pretentious swirling and sniffing, sloshing and, god forbid, spitting, followed by exaggerated discussions of the body, oak and fruitiness of the vintage, well, this place basically throws the entire rule book out the window. Set a short walk from the town centre, you’re immediately welcomed into an atmosphere of wonderful familiarity where the hosts guide you through the 7 wine tastings – 4 ambers and 3 reds – with fun, warmth and a relaxed attitude to really make it a full Georgian wine experience rather than the stuffy tastings you’re most likely accustomed to. The wine is served on the beautiful open-air terrace overlooking lush countryside and accompanied by a delicious spread of cheeses, breads and eggplants and walnut – my all-time favourite Georgian speciality – and followed by a swig of the house brandy and chacha and a short tour of the qvevri facilities. Be warned, you will be asked to make a toast. At 25 GEL (€8) per person, it’s a little pricier than tastings elsewhere in town, but it also includes a whole lot more and in my mind represents incredible value. Be sure to make a reservation ahead of time, or if you’re travelling alone, you can also ask to be paired with another group if you wish – I was put with a group of four other lovely solo ladies. For those not exploring the wider Kakheti region, these are some of the other wineries in Signagi that offer tastings. Okro’s Wine | This winery in the centre of town came highly recommended to me and was actually at the top of my list to visit, but with their changing off-season opening hours, I just didn’t manage to get there. Tastings start at 15 GEL (€5) for 3 wines and a chacha, or simply enjoy a glass of your choice on their beautiful rooftop terrace. Pheasant’s Tears | Historically this has been the must-visit winery in the region, boasting a lovely outdoor courtyard, fabulous food and an excellent selection of wines. However, rising prices and an increasing number of mediocre online reviews certainly made me question whether this place is still as well regarded as it once was. That said, I did meet a few who thoroughly enjoyed their visit. Otherwise, this is wine country after all so expect to find a pretty decent selection of Georgian wines on just about any restaurant menu in town or you’ll find that many less established wineries have signs out on the street advertising their offerings. Essentially, it only shows the main road so is completely useless when it comes to the maze of tangled cobbled laneways that make up much of Signagi’s village centre. Much more useful is Maps.Me which has the correct layout of streets but perhaps not as many businesses listed. If you’re looking for a specific restaurant or guesthouse, the TripAdvisor map is also fairly good for pinpointing locations which you can then add to Maps.Me manually. A little fiddly but still manageable. As far and away one of the prettiest cities on Georgia, Signagi is a place that is very much built on its tourist trade, and so it is completely understandable that when the low season rolls around, things slow down. A lot. Though this almost eery quiet lends well to such an enchanting little town, it also means that erratic business hours are the norm, with places often closed on odd days without explanation or open several hours later than usual. While this was not really an issue, it does require some flexibility for somewhere as small as Signagi, especially if you’ve got your hopes pegged on visiting a specific restaurant or winery. 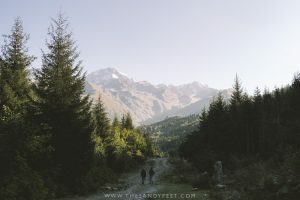 Tours are one of the most popular ways to experience Georgia’s wine region, whether on a day trip from Tbilisi or as part of a jam-packed weekend of wine and monasteries in the Khaketi region. 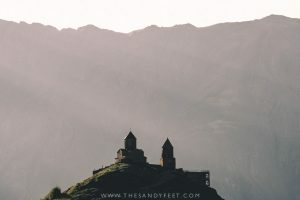 A Day Trip From Tbilisi | Signagi is one of the most popular day trips from Tbilisi and generally includes a guided walk through town, a stop at Bodbe Monastery and a visit to a winery or two in the countryside. At just 2 hours from Tbilisi, this is quite a manageable trip and an excellent option for those short on time. Check available day trip and tour options here. A Kakheti Taxi Tour from Signagi | Most guesthouses in Signagi can organise a ‘taxi tour’ of the Kakheti region which is one of the best value ways to see the area. There are a number of wineries, monasteries and historic estates open for visitors and your guesthouse can help you put together a customised itinerary based on your interests. These trips aren’t so much of a tour as they are providing you with a designated driver who is familiar with the area and may or may not speak English. As these tours can be booked directly through your guesthouse, it’s also a great way to support your hosts and the local economy. 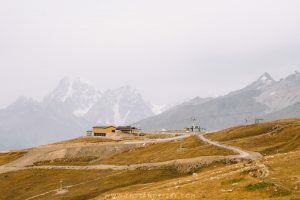 Prices tend to be around €20 a day for the car depending on how far you want to go and how many stops you make.Wine tastings and entry fees are extra. Obviously, if you can fill the car, you’re in for a bargain of a day, just be sure to begin the discussion with your host as soon as you arrive so they can find others to join you on your outing. Visit Independently | Getting to and around Signagi independently is very easy, but trying to use the public transport to get around in Khaketi is something of a nightmare and frankly not worth the tiny amount of money you might save for the extra hours you’ll spend. 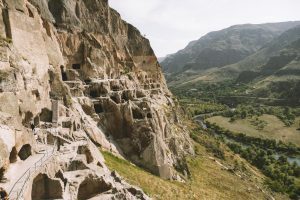 Better would be to arrive and explore Signagi on your own and then opt for a taxi tour to see the area. Cherqe Guesthouse | I stayed at this small family run guesthouse set a short walk from the centre of town. The hosts were lovely and welcoming, breakfast was fantastic and there’s a cosy terrace overlooking the hillside which is an excellent place for your evening wine. There are just two rooms available so this is definitely somewhere to relax rather than socialise. Zandarashvilli Guesthouse | This one was highly recommended to me but was fully booked during my visit. Guests love the friendly hosts, excellent breakfasts and fabulous views. In true Sandy Feet style, my trip to Signagi began with a few hiccups involving being told to go to the wrong bus station, waiting on the roadside like a lost packhorse, desperately scanning the squiggly placards of every passing marshrutka and cursing myself for not learning at least some of the Georgian alphabet. Before long though I found two other travellers also headed to Signagi who were equally as confused as I was and so instead of waiting around for a bus that might never arrive, we bundled ourselves into a taxi and were on our way. To make things a little simpler for you, these are the best ways to get from Tbilisi to Signagi by marshrutka or taxi. Marshrutka | Despite the receptionist at my hostel insisting I catch the marshrutka from Isani, my understanding is that the marshrutka actually departs from the Navtlughi Bazaar opposite Samgori Station and will pass the Isani intersection on its way to the highway where you can flag it down. Much easier though is to just go straight to the Bazaar where you can buy your ticket on board for 6 GEL (€2) and guarantee yourself a seat. Marshrutka leave every two hours from 9 a.m. to 5 p.m., and 6 p.m. and take around 2 hours. To return, try to buy your bus ticket at least a few hours in advance from the small bus station behind the police station in Signagi as tickets can sell out. It’s also a good idea to turn up a bit early to ensure you get a good seat. On the way back, the bus will most likely stop at Isani and Samgori stations. Navtlughi Bazaar is easily accessed from Tbilisi city centre using the metro where you’ll need to jump out at the Samgori stop. By Taxi | If you happen to end up waiting around Isani or arrive at the Bazaar between services, a taxi isn’t a bad option. The going rate is 10 GEL per person (€3.50) or 40 GEL for the car and they’ll drop you directly at your guesthouse.